I got a new computer and it worked great at first but have recently been running into problems with Arc, it just won't open or it takes forever to open. I have no problem uninstalling/reinstalling or resetting computer to factory settings. However, first I would like to get all of you guys/gals opinion on which program works best for you. Arc, Steam or from a 3rd Party. Right now, Steam seems to work best. 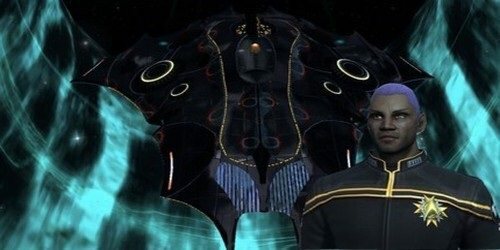 All I want to do is play STO...is that too much to ask? Lol. arc is basically uplay. needlessly redundant. Running Arc. For the longest time though I just kept using the Cryptic launcher because Arc was maxing my CPU usage. Uninstalling Arc and reinstalling seemed to fix the issue for me. Arc spikes @ 5% CPU usage very briefly and normally is at 1% or less, but this is FX-8350 and 32g memory. I just use the STO application directly. I use Steam, always have. Never liked Arc. Cool, thanks for the input! !